This post is Part 3 of 3 of why we all need an ‘attitude adjustment’. In my previous posts about my son, Tristan, I shared that he was diagnosed with high-functioning Autism or Aspberger’s syndrome. I explained different behaviors displayed in children with Autism and some strategies our family uses to help our son grow. In this post, I will talk about some physical symptoms associated with Autism that Tristan has experienced (there are numerous characteristics of autistic children which you can read more about here and here), what we’ve tried to do, and what has helped him. Every child is different. I hope this post helps you in your journey to discover what therapies and treatments will help your loved one. Tristan experienced difficulty crossing mid-line. The easiest way to explain it is to say what he had trouble doing. He didn’t roll-over, have a traditional crawl (he scooted on his bottom), walked about 18 months, didn’t reach across his body for toys or his cup, he learned to buckle his seat-belt a little before age 7, has trouble with riding a bike with training wheels, and tying his shoes is an overwhelming process for him (and me!). Action: 1st—When I first noticed he wasn’t rolling over, I took him to a baby yoga class to learn some different things we could do at home to help his development. 2nd—Pinterest and researching development became my mission. I really wanted to find things we could do at home to help him. 3rd—Occupational Therapy (OT). Tristan had OT the year before Kindergarten and continues it at school once per week. This has helped him improve motor skills. Tristan had extreme constipation since about 3 months old. A baby who doesn’t have a bowel movement for weeks needs help. This lead to years of our pediatrician recommended Miralax (which I took him off of, because he had trouble knowing when he had use the restroom), allergy testing, and dietary changes. Action: First, we sought the help of our pediatrician. I asked about allergy testing or dietary changes and was instructed that there wasn’t a sign of a true allergy, because he wasn’t having diarrhea. It was the opposite. I was instructed to minimize dairy and try Miralax. No matter what changes I made, It seemed like his body was dependent upon it. I tried weaning him off of it to no avail until he was about age 5. 2nd—we changed OUR diet. This is very important. Follow your own advice and rules even though it is difficult. We had always eaten a variety of fruits and vegetables. However, after reading numerous books and articles, I decided that the link between what we ate and behavior was a theory that made sense. Think about it. If a medication that you ingest can change your symptoms or behavior, shouldn’t a natural/organic compound AKA FOOD affect your body positively or negatively? I gradually substituted meat we were eating with grass-fed, free-range, and hormone-free meat, stopped buying anything that had hydrogenated oils or high fructose corn syrup, no food coloring dyes ect. We try and buy organic produce for most fruits and veggies. We also swapped out for organic, lactose-free milk, veggie cheese ect. 3rd—we had him tested for food allergies. While I had suspected that Tristan had sensitivity to dairy products, his sensitivity was actually pretty minimal. He was more sensitive to chicken, eggs, and gluten (wheat) than dairy. Based on these results, we tried an elimination diet to see if that helped him or his behavior. We completely cut out all dairy (that included the lactose-free milk), gluten, chicken, and eggs for 2 months. Dietary changes can successfully help those on the Autism spectrum. Talk to your doctor about food allergies and testing. ( You can read more about it here). I am glad that we know what he is more sensitive to, but for him—minimizing those food triggers achieved the same result as eliminating them completely. We try to prepare a wide variety of wholesome foods has been most beneficial for our family. 4th—we take vitamin supplements. Always speak to your doctor before taking supplements or giving them to your child. You want to be sure that you are giving the proper dose and taking what you need for your health goals. Tristan currently takes a daily multi-vitamin and a probiotic. Tristan expressed very little eye contact and was quite content to sit as a baby without exploring much. You can read more about behaviors in my other posts here and here. Action: Tristan had a procedure to have his tongue clipped and had speech therapy for a year prior to Kindergarten. He also goes to behavioral therapy once per week, is involved in activities at church, and team sports. Tristan has been able to cope better with loud noises as he has gotten older, but he has a heightened sensitivity to it. When he was an infant, he had frequent ear infections and would hold his ears for comfort. He stopped doing this for the most part, but you can still see him rubbing his head when he is uncomfortable or it is too loud around him. When he was younger, about 4-5 years old, he would complain that certain actions, “hurt his hands”. This included pulling a zipper, buttoning a shirt, unscrewing or flipping open a water bottle etc. There are still some instances where he doesn’t like to do things, because his hands, “hurt”. Action—1st: We tried sensory activities suggested by his occupational therapist e.x. playing with play dough. 2nd—Earlier this year, my husband and I were again at a loss of what to do. Tristan’s environment had some changes at school that were beyond anyone’s control, and all of the ‘progress’ made with therapy seemingly appeared un-done. We needed to make another change to help him…again. We decided to talk to Dr. Steven Loehr and Dr. Aimee LaBrie about the benefits of chiropractic care for Autism treatment. Please understand that while the precise cause of Autism is still unknown, many of the physical and behavioral symptoms can be helped by chiropractic care. My husband had read a few articles written by parents trying everything possible to help their autistic child and not having much success until taking their child to a pediatric chiropractor. The idea is that if your spine and ligaments are properly aligned, than the nervous system can function how it is intended to. This helps the senses somewhat normalize for someone who is on the Autism Spectrum instead of experiencing life like this. 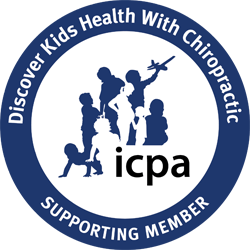 I knew that other parents took their child to a chiropractor, but it wasn’t until I was at a loss of what to do that I called. Tristan has been adjusted about once per week since May of 2014, and we have seen a lot of progress in how he interacts with others. These, “attitude adjustments” immediately improve his mood and ability to think clearly. He speaks ‘with’ you instead of ‘at’ you more than before. While he still has his moments of completely freaking-out, it’s not as frequently or as violent compared to before. For example, Tristan was playing a game of soccer with his dad and sister. Things in the game didn’t go according to how he thought and no one wanted to play with him anymore, because he was yelling, calling names, and completely unable to focus on anything but his anger. However, my husband noticed Tristan did NOT hit him. Tristan definitely thought about it and wanted to, but resisted. That’s improvement. Now, we still can’t put him in a Parent’s Night Out style childcare setting, because it always results in a phone call…but, one step at a time. Fish oils—Tristan does eat salmon and nuts, but that doesn’t mean his body has the Omegas it needs. Yoga—I’m not sure if I could get Tristan to participate in a yoga class, but I feel like he really needs it! Sensory-integration Therapy—this uses play and activities to help the brain react differently to sight, sound, touch, noise ect. Even though Tristan has improved many of his skills with the help of a structured routine, behavioral therapy, and chiropractic health care, he continues to need support, understanding, and a great deal of patience from any care giver he is with. If you have questions about Autism and chiropractic care for your child, contact us appointment today.